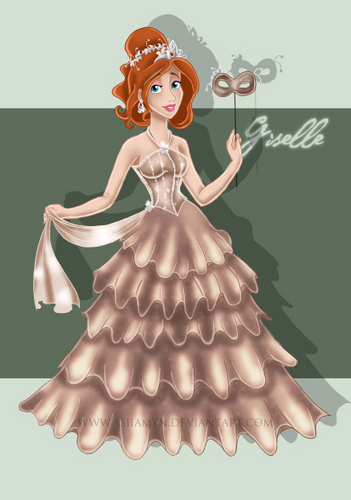 Giselle. . Wallpaper and background images in the disney Leading Ladies club tagged: disney giselle. that sure don't look like Giselle, but she's pretty! Uh, she's just doing a masqurade ball or something & you're right; Soo pretty!